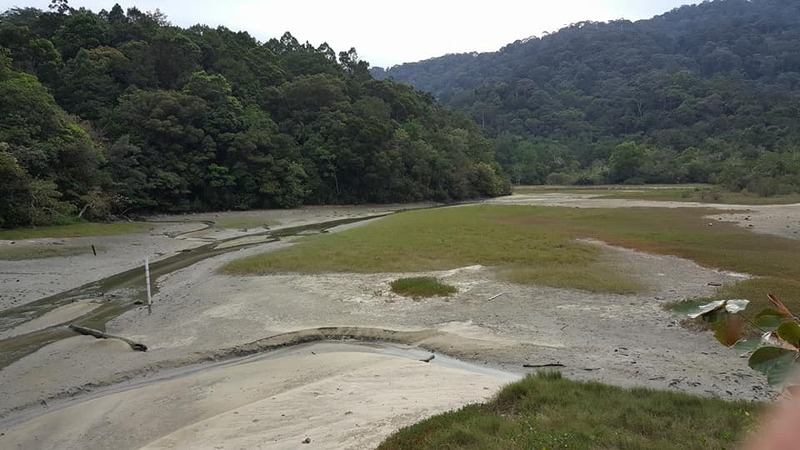 Did you know that at the end of Batu Feringghi Road is Teluk Bahang? 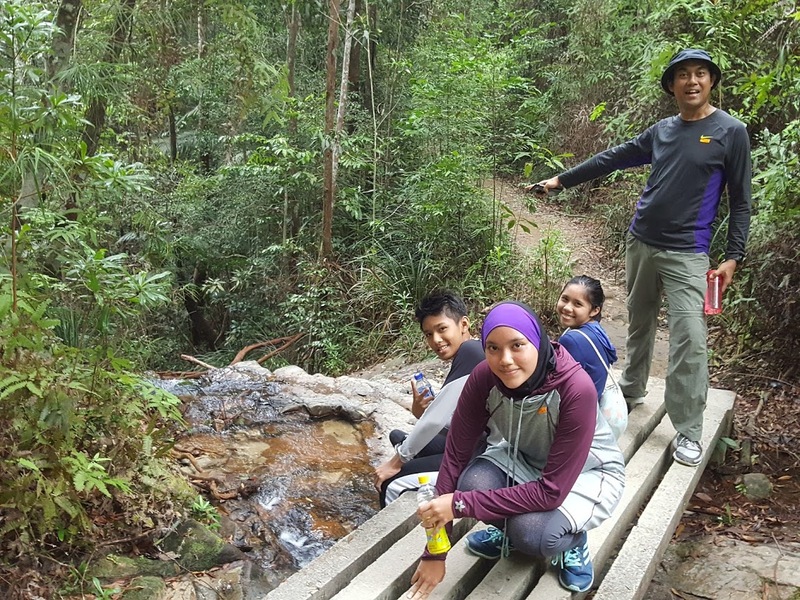 While Batu Feringghi is famous among tourists and party goers, Teluk Bahang is the place for activity & nature-lover. 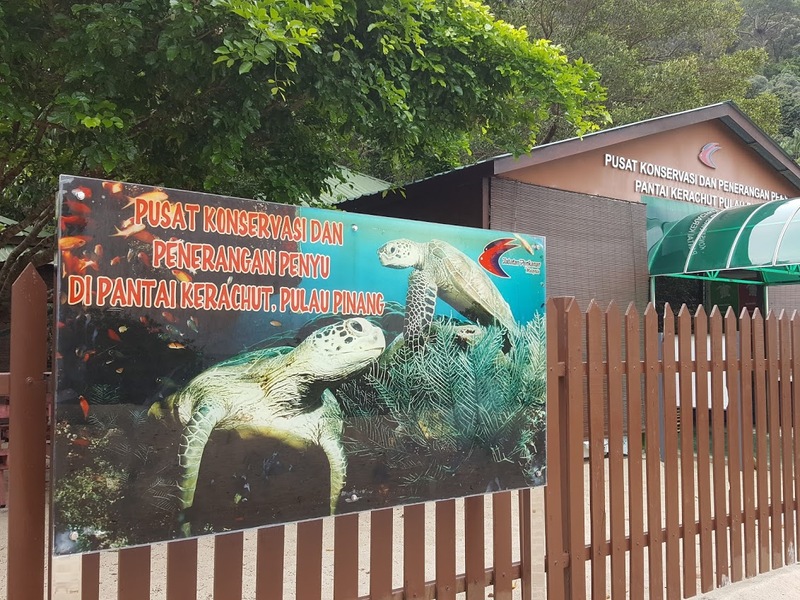 The existing ones are Escape Penang, Butterfly Farm, Toy Museum, Penang National Park, Teluk Bahang Dam and Penang Batik. My family and I enjoyed our 1st experience at the Escape Adventureland (dry park) in 2016. See previous blog post about it. 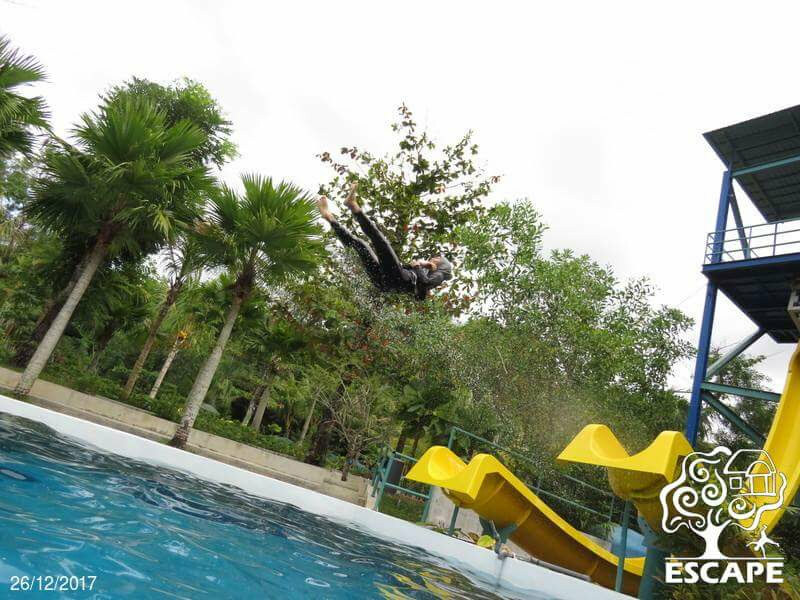 We decided to try out the Water Park and a night stay at Escape BaseCamp. 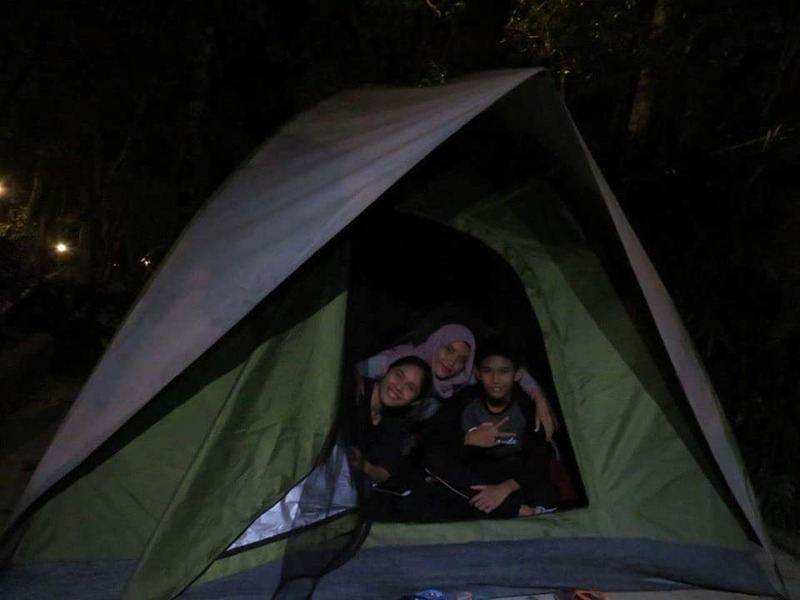 We got the BASECAMP 2 Day 1 Night Combo for RM158/person (taxes included). This included 2 day passes at Escape and 1 night camp. 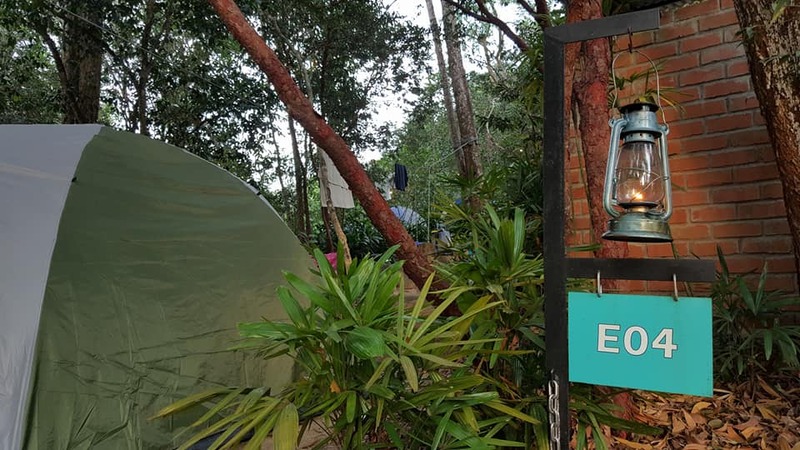 One day pass was already RM99.20/person (taxes included), so we figured the BASECAMP combo was value for money (You could save even more with much early booking). After all, none of my children had experience camping out before. We spent both days at the Waterpark because we enjoyed it more. 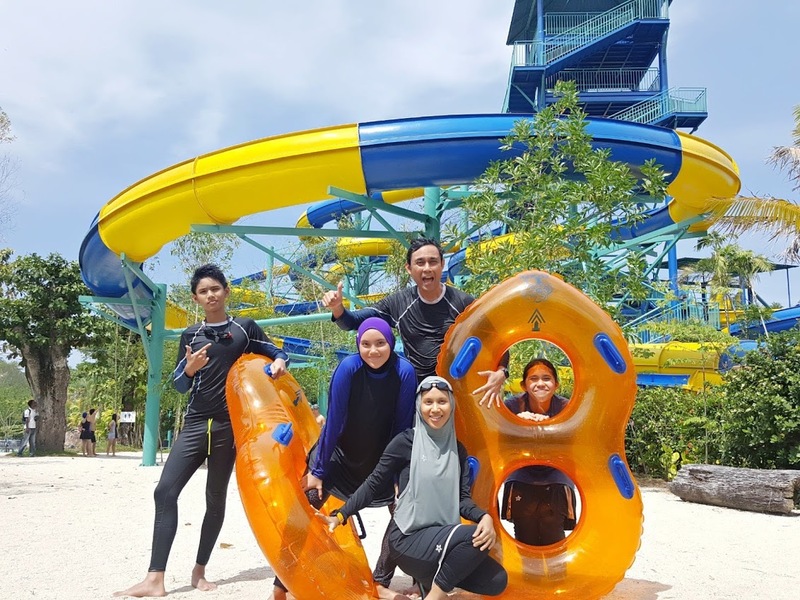 The water adventure was super fun – you could choose the type that suits your adrenaline mood. I was particularly interested with the 10 meter diving platform. 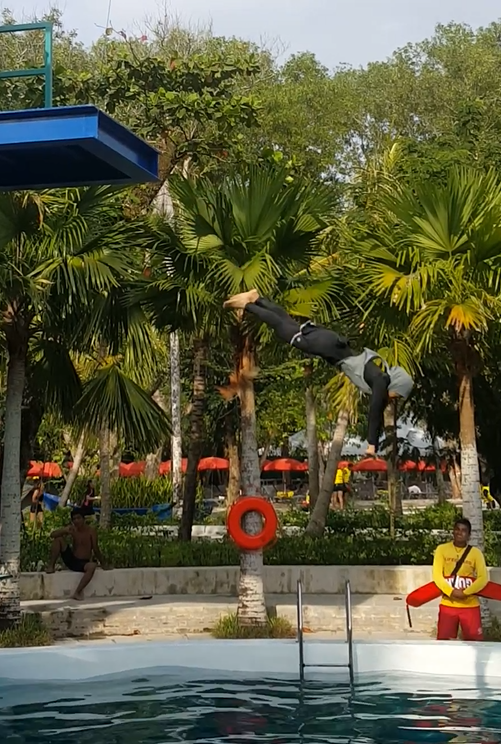 It shared the same 5 meter deep pool as the banana flip, therefore each operated an hour in alternate. 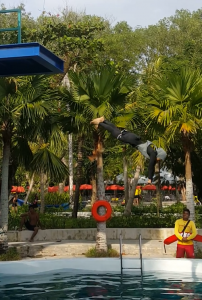 Both the diving platform and banana flip were super scary and suitable for adventure seeking minds. With the banana flip, you would go into a transparent human capsule, and when the timer counted down to zero, the floor collapsed and you would free-fall in the tube. Make sure you exit into the water well to avoid injuries. I highly recommend the Tubby Rapids and Tubby Tunnel Family Twister. You could see the Teluk Bahang dam from the top of the Tubby. 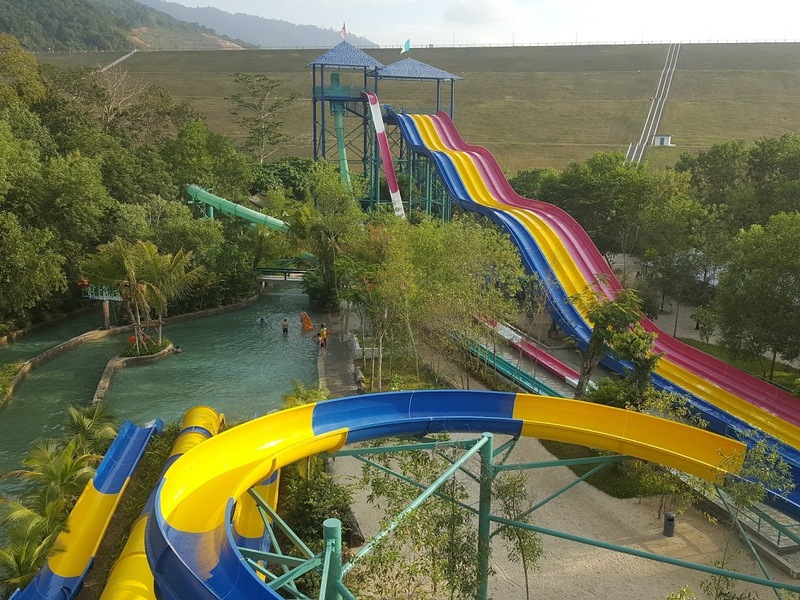 You just glide down in a tube and you get to enjoy the view of Teluk Bahang. If you just want to relax, on the Lazy River. Just get a tube and enjoy sitting in the slow-moving float. If you want mild exercise in the water, try out the Wave Ball. It is a big pool with a giant ball producing waves in it. You can get a float to just relax and enjoy the wave. Speed Racer and Mega Drop were tolerable. My children enjoyed going down the Speed Racer together repeatedly.While, AK Academy required a lot of patience of super quick moves. I decided to go slow and glided on the side of it to reach the end. You could perform prayers anytime at a cabin provided. There were many tents by the side you could rest in. The park closed at 6pm and that was when we headed to the BASECAMP, on the grounds of Escape Adventureland. It is right across the waterpark. 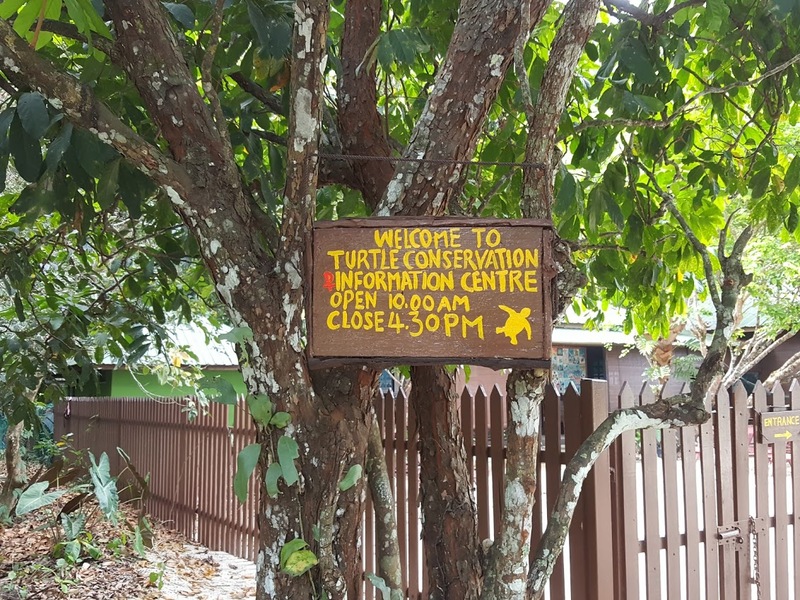 The Escape park used pincode and finger print system to manage access to the park. So, you get to go in and out of the dry and wet park according to your package. You could choose your camp area while booking online. 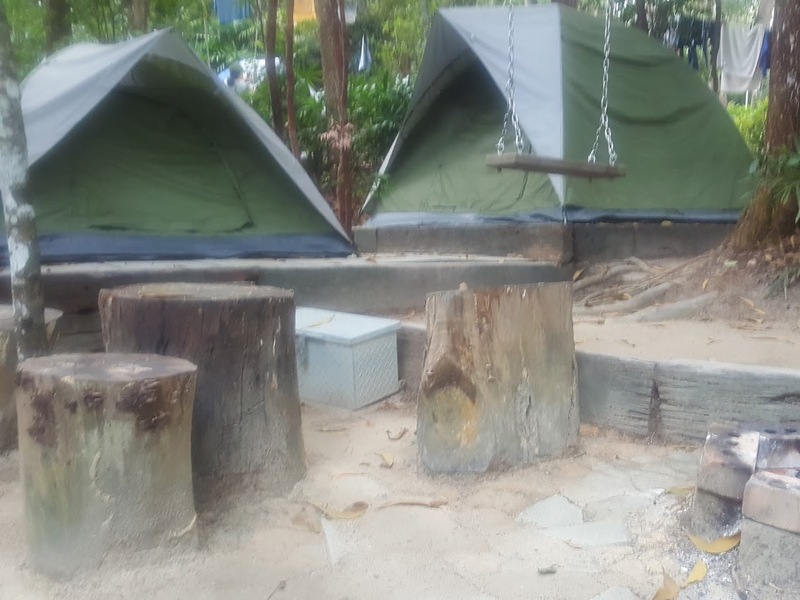 Each camp site was suitable for 5 pax and it consisted of 2 tents with inflatable pillow and mattress, campfire, a tree swing, a toilet with a shower, a line and camp lanterns. The lower numbered campsites were closer to the main entrance of the park. There were about 20 camp sites at BASECAMP so, you wouldn’t be alone throughout the night. You could also use the main toilets and praying area at Escape if you needed more space. 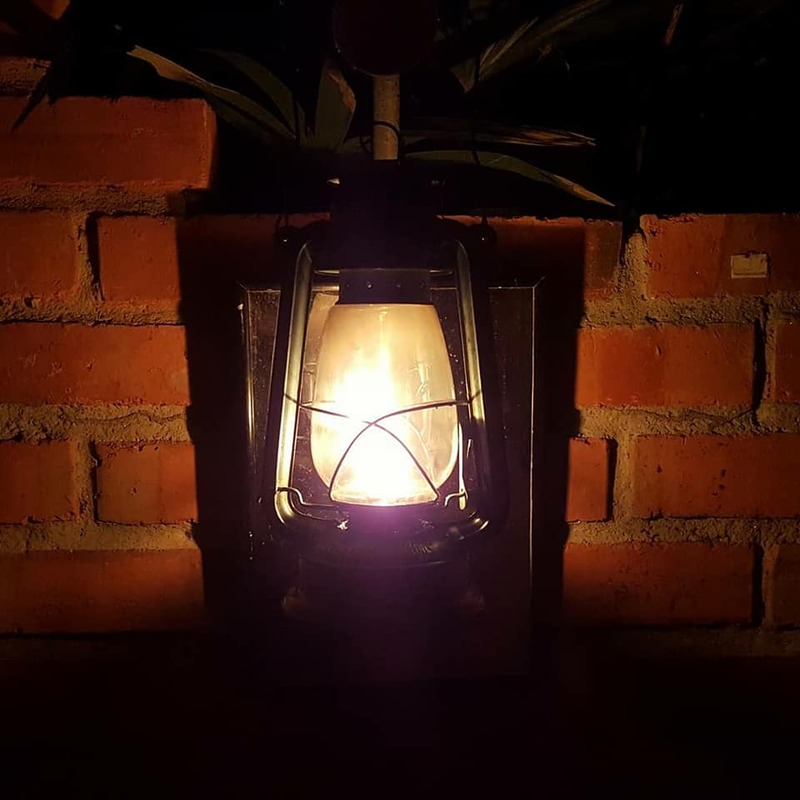 You could barbecue and enjoy the campfire, but we chose to try out local delicacies at Feringghi for dinner. We slept well that night, no insect bites. 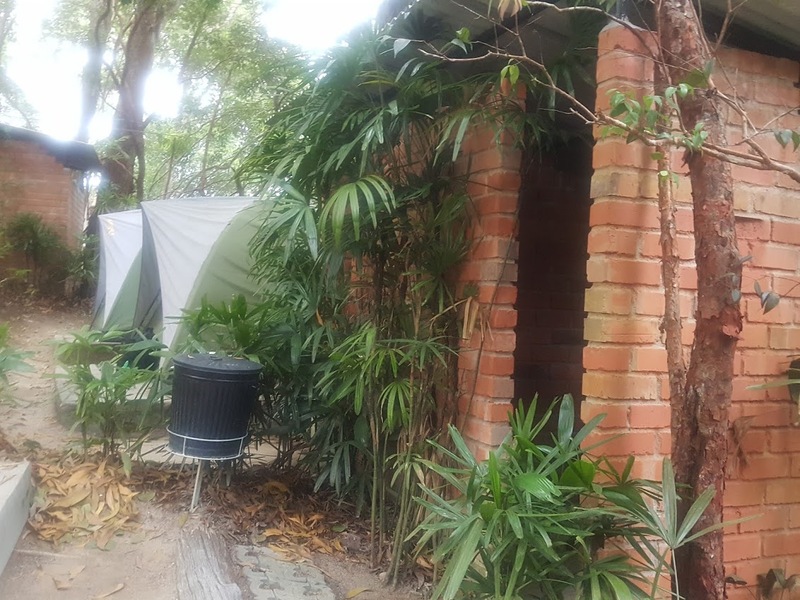 The tent had mosquito net covers to keep insects at bay. Small blanket. No mattress is required. You can bring a small pillow if needed. Extension board to charge electronic devices. 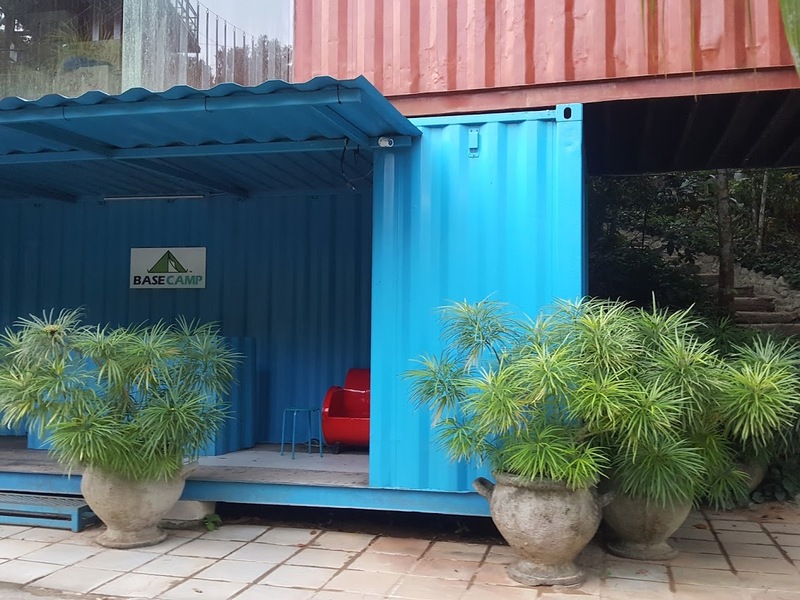 You will get a locker with a power point located in a cabin, 150 meters away from the camp area. Escape opened at 10am and we had two choices how we could spend our morning. 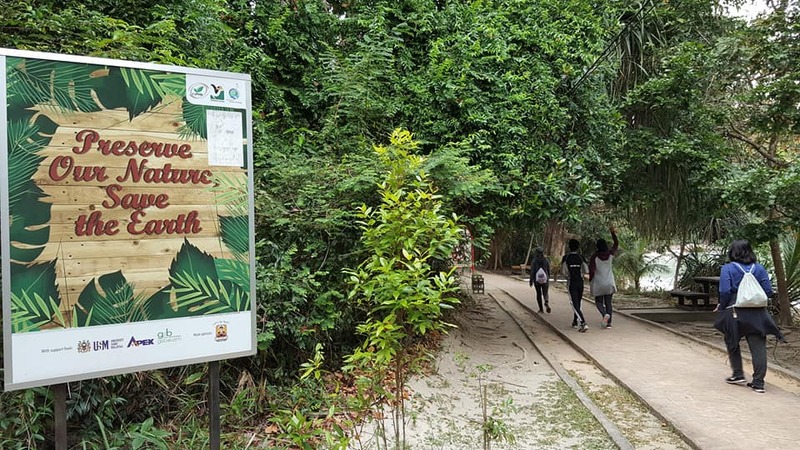 The Penang National Park was 2 km away from Escape while the Teluk Bahang Dam was only 500 meters away. 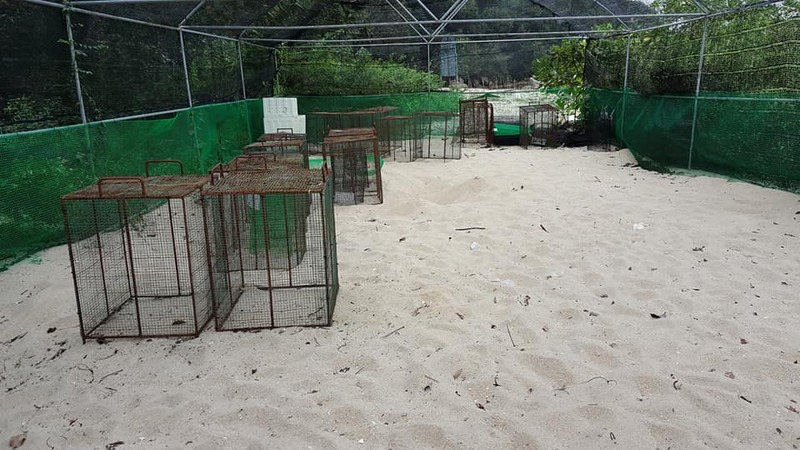 The children chose Pantai Kerachut as they wanted to visit the Turtle Hatchery located by Kerachut beach. 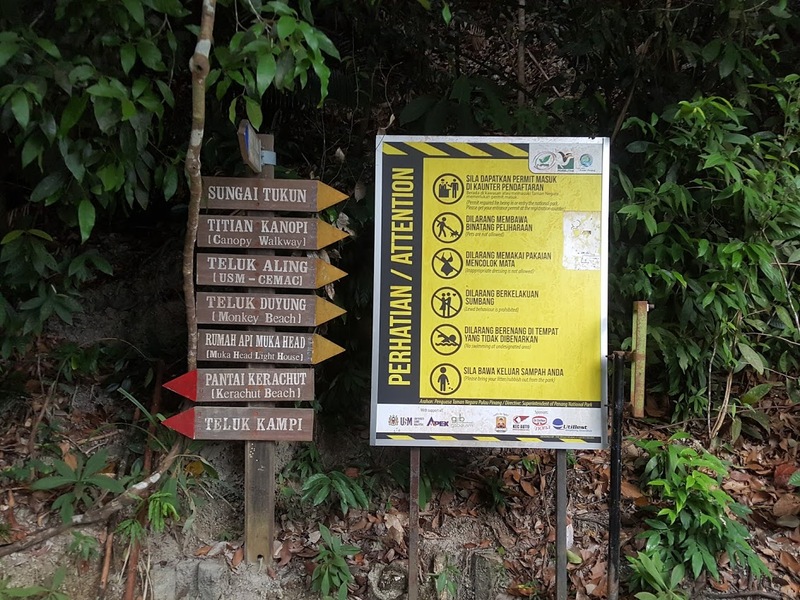 Pantai Kerachut was 3km away from the main entrance of Penang National Park. 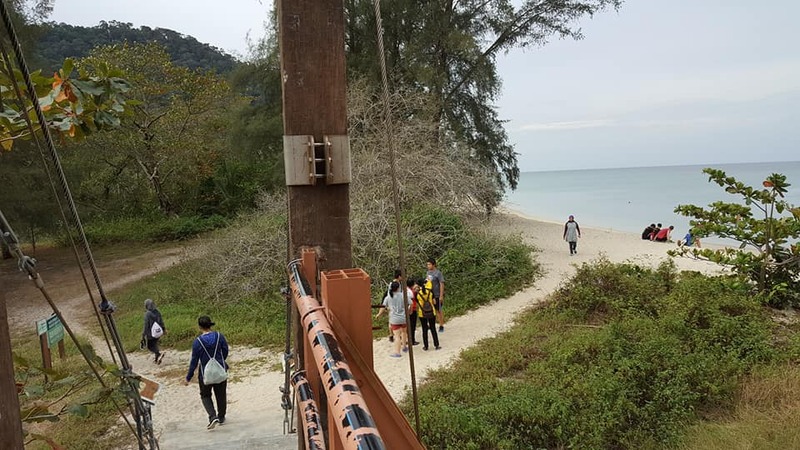 It took us 45 mins walk to reach Kerachut Beach from the national park main entrance. You would hike up a hill, walk over a few streams and in between huge rocks to reach Kerachut. We booked a boat ride back to the park in advanced at the park entrance for RM10/person . Clean beach but not for good for swim. Jelly fishes visible. We took a boat ride back and the guide showed us many interesting rocks along the way. 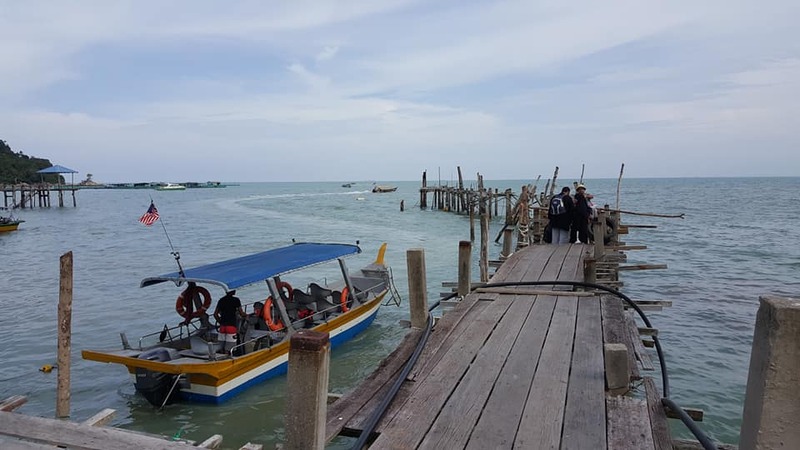 We passed by the Monkey Beach and reached the jetty. We had brunch at a Malay store, closest to the entrance. They served delicious roti bom and keutiaw goreng. I gained 2 kg when I checked the next day, but it was totally worth it! 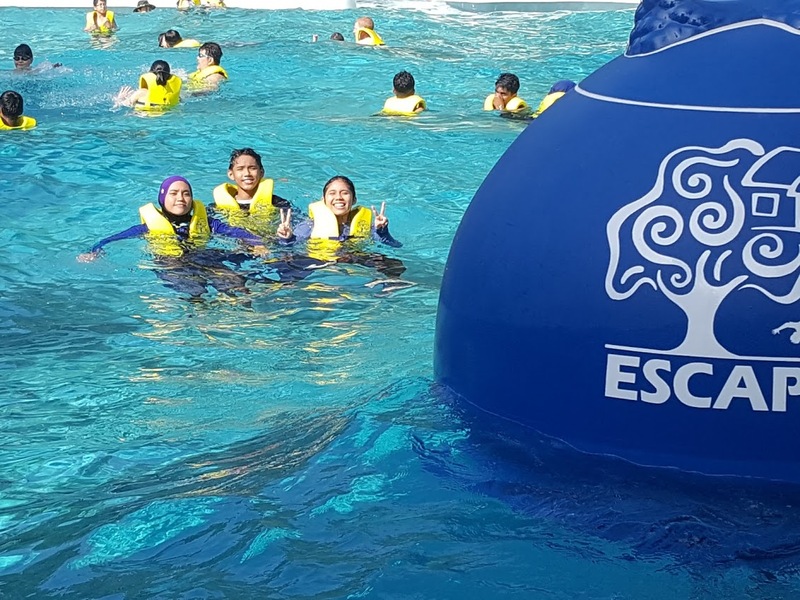 We continued our day at the Escape Waterpark – more diving and fun in the water.